“Clarify” is a wonderful word! Give your witnesses a method for correcting their mistakes: a method they can use as soon as they realize they either were mistaken or misspoke. Witnesses are under pressure during testimony. They remember imperfectly, or express themselves imperfectly or incorrectly, or they say “yes” to a leading question in a barrage of cross-examination. You know the sort of thing I’m talking about: for example, the witness testifies there were only three persons – no more – in the conference room, but five minutes later remembers there was a fourth person; or the witness says he saw the other car when it was three feet away from him, then panics when he realizes the lawyer was asking about when he first saw the other car. Tell each of your witnesses they have the power to correct, modify, even reverse, their testimony if they use the “Clarify Plan.” Practice the Clarify Plan with them, so they have the comfort and power of a plan (made before the event) on how to get out of a hole they dig for themselves. Have them practice using the following two-step technique. Step #1. Say: “I want to clarify something I said earlier.” Tell them they have the power to say “I want to clarify something I said earlier” — even though the topic being discussed “right now” has nothing to do with the item they want to clarify. 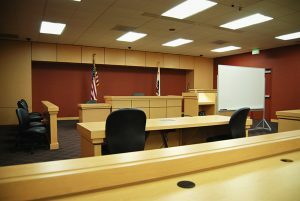 A jury or judge almost always will accept a “clarification” by the witness who recognizes they made a mistake or realizes they did not tell everything relevant. If the witness makes an “I want to clarify…” statement as a volunteered statement, the use of the word “clarify” softens even an outright reversal of testimony.